Michel Rovelas was born in Capesterre, Guadeloupe, in 1939, and moved to Paris in 1962. After two years as a Mathematics student, he abandoned his university studies to pursue a career in the plastic arts. He returned to Guadeloupe in 1968, where in 1972 he opened a painting school and an art gallery in Pointe-à-Pitre. 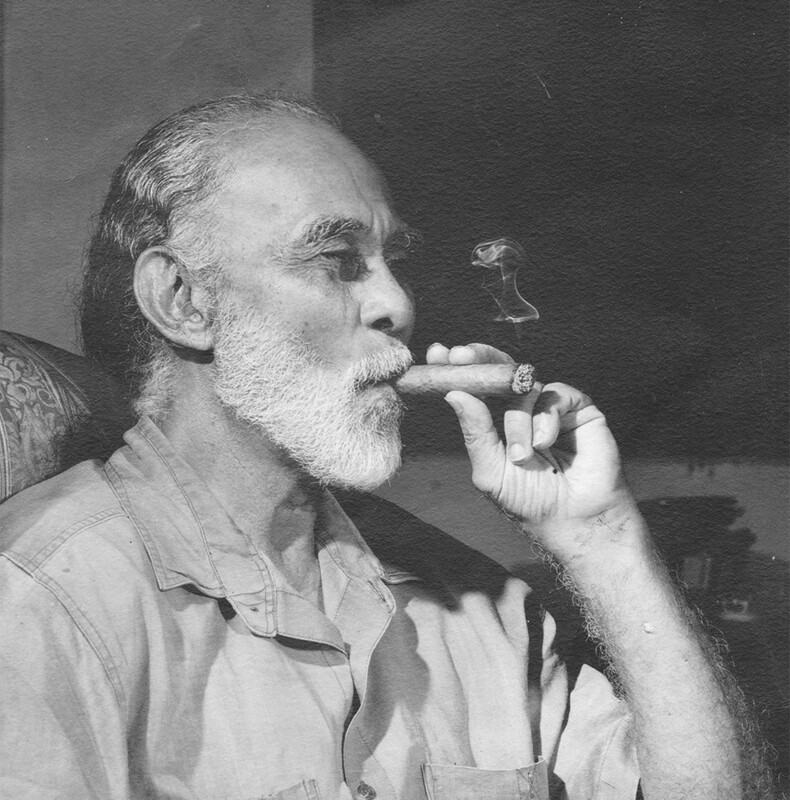 Committed to the social and historic claims of his people, his paintings, sculptures and drawings deal with the history and origins of the island. Since his first solo exhibition in 1967, his work has been regularly represented in Guadeloupe and abroad, including “Michel Rovelas: Mythologies Créoles” at Artchipel Scène Nationale in Guadeloupe. Adão e Eva [Adam and Eve], built in 2008 for the 8th Santo Tirso International Symposium of Contemporary Sculpture, is an example of Michel Rovelas’s public art, found in several countries.